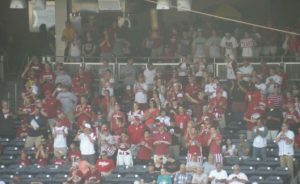 It’s been just over five years since Hoosier Baseball swept Florida State in the Super Regional and became the first B1G Ten Team to make it to Omaha since 1984. Make no mistake about it, they absolutely belonged. There really was no reason to believe any different. 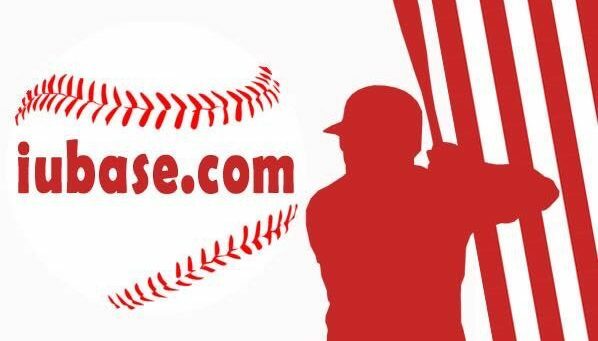 Hoosier Baseball had already won 47 games on the season. 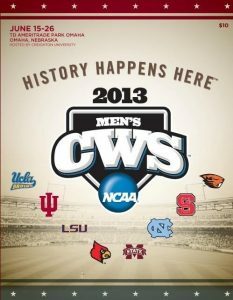 Including the two game sweep at Florida State. 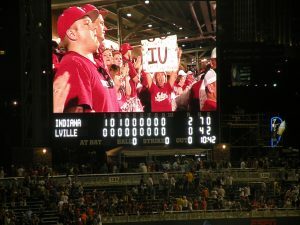 There was no reason Hoosier Baseball couldn’t go to Omaha and win. The Seminoles were the Number 7 National Seed and had just ripped through their Regional winning 3 straight with a combined score of 32-4. 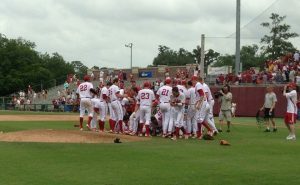 They had been 35-3 at home on the season but it was Hoosier Baseball who was celebrating in Tallahassee. 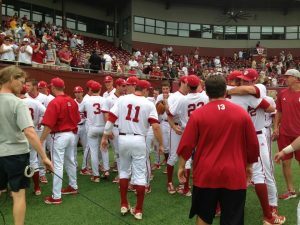 Success breeds confidence and that feeling of having this amazing season and sweeping the Seminoles in their building sent Hoosier Baseball back home with a purpose. 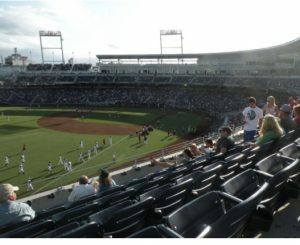 To get ready to go to Omaha and win. 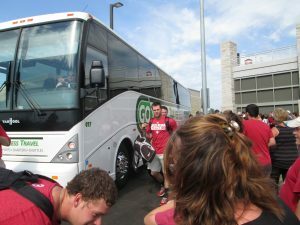 But first, the Hoosier Baseball fans had to give the guys a proper send off. Fans lined up outside The Bart as the players and staff were heading on their buses for the airport. As always, the guys were great, signing autographs and taking pictures before heading to the airport. 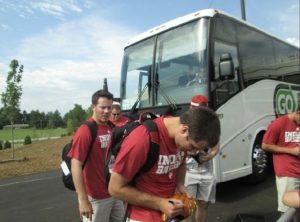 This was the most historic road trip in the history of Hoosier Baseball and they were sent off right. 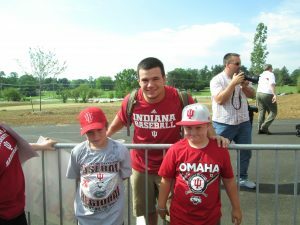 Hoosier Baseball was definitely the fan favorite. 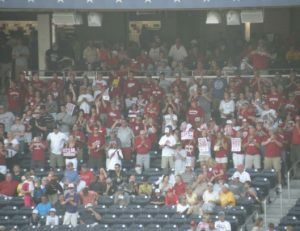 And plenty of Hoosier fans made the trip. 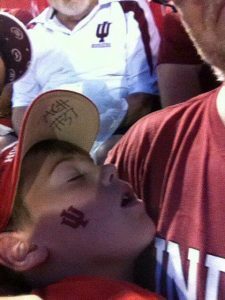 Brian was actually in the bleachers at Wrigley when he found out he could pack that IU gear for the trip West. 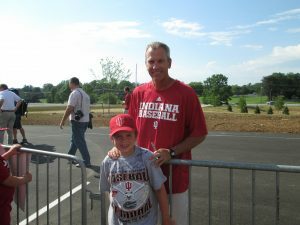 Indiana Alum Michael Felish also made the trip but his trip was as a fan and for work. 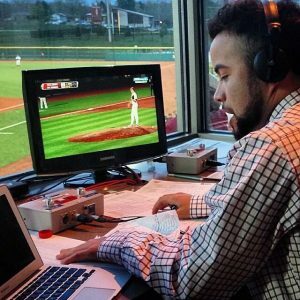 Michael was a student reporter for IUSports.com and a broadcaster for BTN StudentU. 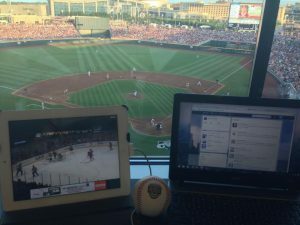 Hoosier Baseball had prepared during the week to come to Omaha and win. Their Rival, Louisville, would be their first opportunity. 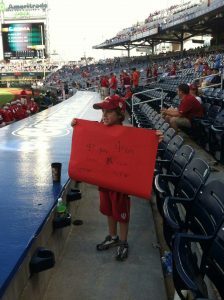 Joey Denato was the starter that night and a certain family from Bloomington was not going to miss it. 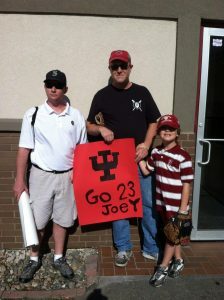 Dale, Shalom and their son Guy made the trip from Btown with their friend Bryan to watch Hoosier Baseball and their favorite player pitch in Omaha. Guy might’ve crashed out but ‘My favorite memory was when Joey signed a ball for me’. 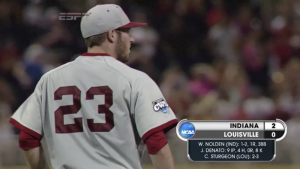 Joey Denato was starting but the Hoosiers were in the road grays against Louisville. 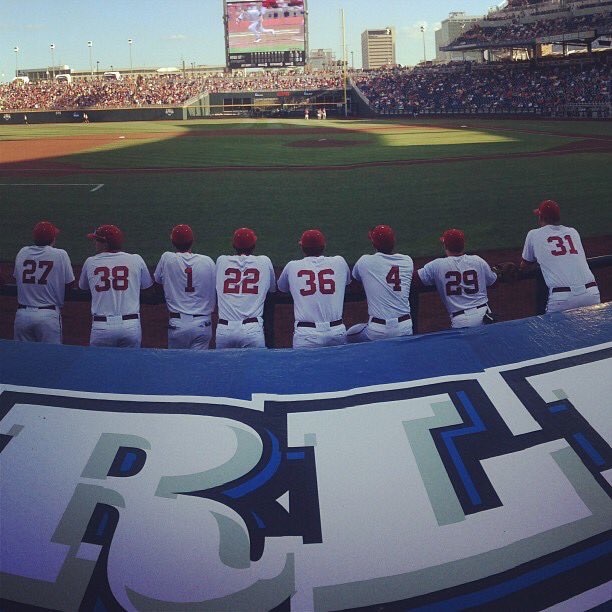 That meant Will Nolden would be the first Hoosier ever to take the field in Omaha. Donley and Basil drove in a run, Nolden hosed a guy at the plate and Joey was Joey. 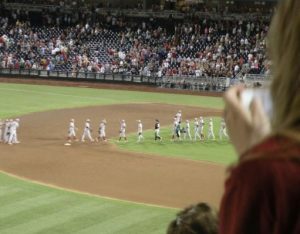 Hoosier Baseball had come to Omaha and won. It was obviously a very special group. Not only for their performance on the field but for the foundation they built here. And, from the players I’ve spoken to, the group is still very close. Tracy Smith, his staff, and this group built the foundation for Hoosier Baseball. 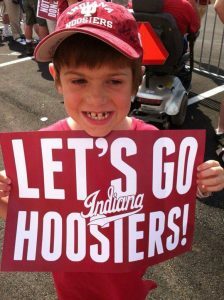 Baseball is an event in Bloomington now (weather permitting). 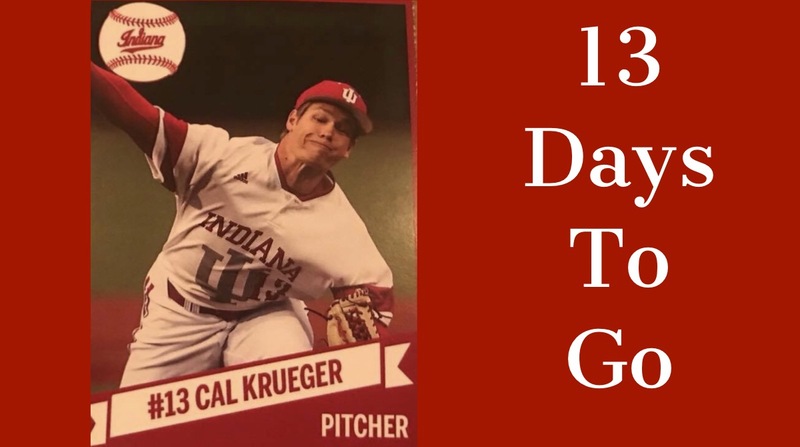 Coach Lemonis kept it rolling and in just 13 days the Coach Mercer Era gets started. 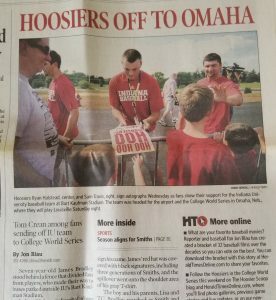 Definitely looking forward to seeing what the future has in store for Hoosier Baseball.